FORT PIERCE, FL -- About two months before Joseph Michael Schreiber allegedly tried to burn down a mosque sometimes attended by Orlando nightclub shooter Omar Mateen, he posted on Facebook that "All Islam is radical" and that all Muslims should be treated as terrorists and criminals. 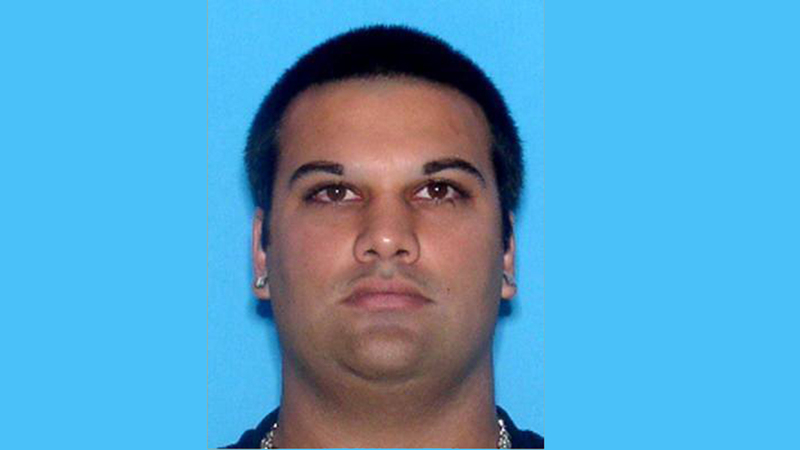 Schreiber, 32, was arrested without incident Wednesday afternoon and was being interrogated by investigators looking into the fire set late Sunday at the Islamic Center of Fort Pierce, said Maj. David Thompson of the St. Lucie County Sheriff's Office. A July post placed on Facebook by Schreiber, who is Jewish, stated that, "IF AMERICA truly wants peace and safety and pursuit of happiness they should consider all forms of ISLAM as radical. ... ALL ISLAM IS RADICAL, and should be considered TERRORIST AND CRIMANALS (sic) and all hoo (sic) participate in such activity should be found guilty of WAR CRIM (sic) until law and order is restored in this beautiful free country." Thompson told a news conference that Schreiber, who has a criminal record, was taken into custody on a street in Fort Pierce by authorities acting on tips from members of the community and aided by surveillance video taken from the mosque and elsewhere. He said the arson charge, coupled with a hate crime enhancement under Florida law, carries a sentence of up to 30 years in prison. Thompson said detectives were still questioning Schreiber on Wednesday evening, and he didn't say if Schreiber had a lawyer. The fire was set late Sunday on the 15th anniversary of the Sept. 11 terrorist attacks. The blaze also coincided with the Muslim holiday Eid al-Adha. No one was injured in the fire, which burned a 10-by-10-foot hole in the roof at the back of the mosque's main building and blackened its eaves with soot. Thompson said a search warrant was executed at Schreiber's home, where investigators reported finding evidence linked to the arson, as well as anti-Islamic social media posts. Wilfredo Amr Ruiz, a spokesman for the Council on American-Islamic Relations-Florida, said Schreiber "obviously doesn't know about the efforts our community is engaged in with our cousins, the Jews, not only in Florida but throughout the nation." Omar Saleh, an attorney for CAIR, described both Schreiber and Mateen as "degenerates" and "punks." Mateen was killed by police after opening fire at the Pulse nightclub on June 12 in a rampage that left 49 victims dead and 53 wounded, making it the worst mass shooting in modern U.S. history. Mateen professed allegiance to the Islamic State group. His father is among roughly 100 people who attend the mosque. Schreiber was previously sentenced twice to state prison for theft, according to records from the Florida Department of Corrections. The records show he served his first sentence from March 2008 to July 2009 and his second from June 2010 to August 2014. A weekend surveillance video from the mosque showed a man on a motorcycle approaching the building with a bottle of liquid and some papers, then leaving when there was a flash and shaking his hand as though he may have burned it, Thompson said. The first 911 calls were made about 45 minutes later after the fire had spread to the attic. It took about four-and-a-half hours for firefighters to extinguish the blaze. The FBI and the federal Bureau of Alcohol, Tobacco, Firearms and Explosives joined the investigation into the fire. Sheriff's officials had released the video and asked for the public's help in identifying the arsonist. Rabbi Bruce Benson, a chaplain with the Port St. Lucie Police Department, was outside Schreiber's home Wednesday night. He said Schreiber attended his synagogue for about a month last spring to study the Torah, but left little impression, and gave no indication he might act violently in the future. Benson said Schreiber's father showed up at his office Wednesday afternoon after his son was arrested, even though he wasn't a member of his synagogue. "I guess he didn't know where else to go," Benson said, adding that Schreiber's parents are "shocked, just like any of us would be if it were our child." Benson said his reform synagogue, Temple Beth El Israel, has tried unsuccessfully in the past to reach out to the mosque. "We would welcome the opportunity," Benson said. "They're a community feeling under attack. If we could all talk a bit, maybe things like this wouldn't have to happen." The fire was part of an escalating series of threats and violence perpetuated against the mosque and its members, Ruiz said. He said the mosque began receiving threatening phone calls shortly after the Pulse massacre. And in July, he said, a member was punched in the face as he arrived for morning prayers. Sunday's fire has left the mosque's members "saddened and scared," said assistant imam Hamaad Rahman.